The drink of the Gods or Poisonous Beverage? Although coffee is believed to be consumed more often than other drinks, its impacts on human body are still uncertain and controversial. Scientists as well as epicurians have been debating regarding this aromatic drink for a long time. Will it make your life shorter or add up to your health? How to make an ideal cup? Is decaffeinated coffee indeed decaffeinated? And who tasted the first cup of coffee? Take advantage of an opportunity to read through the following answers to the previously mentioned questions and more. Speaking about coffee and health, it must be admitted that caffeine can even kill you. In spite of the fact that java has lots of advantages, it can be dangerous. Health experts state that you should drink 80-100 cups at a time in a haste. However, we would not advise you to try this. It has been discovered that coffee can also be beneficial for your health. Numerous studies conducted in 2014, 2015, 2016 have shown that this drink is very good for such organ of human body as the liver. In addition, it may decrease the risk of heart attack and lower the likelihood of having colon cancer. Apart from that, people who drink 1-5 cups of java per day may not have early death. According to the study that was released in March in 2016, coffee helps to reduce the risk of multiple sclerosis. Caffeine may relieve pain. Not very big doses of caffeine can be helpful in cutting pain in the muscles that people usually have after attending a gym. It was found owing to one small study. Nevertheless, the research was not conducted on people who drink coffee regularly. In 2012, another study proved that those people who prefer drinking coffee before working at a computer could feel less neck or shoulder pain. 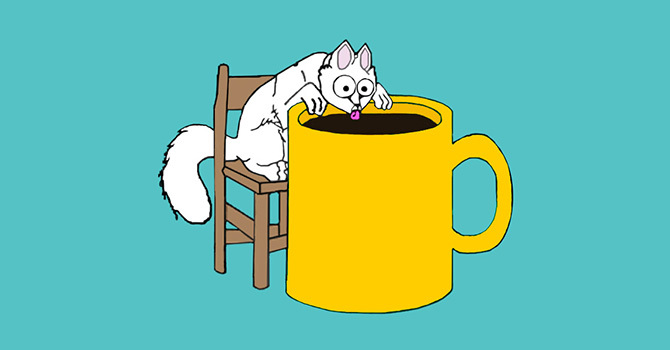 Caffeine has a special ability to keep its drinkers up at night. Health experts give piece of advice that you’d better not consume this beverage 6 hours before going to bed, since its effects can last for a pretty long time. Moreover, caffeine can be the reason for confusing the internal clock of your body. As a result, the workers who have to be up at night and drink coffee in order to be alert, find their daytime sleep disrupted. The quality of coffee depends on how it is roasted and brewed. There is oil inside the beans, but it begins to emerge only when it undergoes the process of roasting nearly at 400 degrees. The bigger amount of oil, the stronger the fragrance. During the boiling of the water, caffeine comes up. A study demonstrates that the Americans enjoy drinking coffee since, thanks to one to two cups, they receive their regular portion of antioxidants. Even if you do not like coffee, you can always drink a cup of black or green tea – it is beneficial as well.